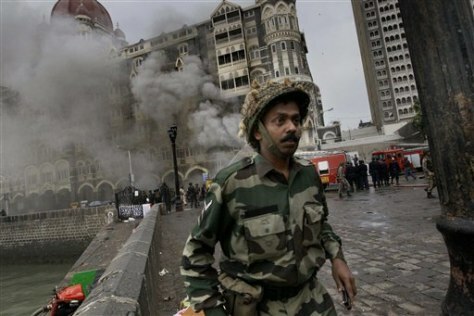 The Taj Mahal hotel burns on Saturday after gun battles between Indian troops and militants in Mumbai, India. "There is a limit a city can take," said Ayesha Dar, a 33-year-old homemaker. "This is a very, very different kind of fear."